Please help us cover costs for the Seder with your additional donation of any amount. No one is turned away due to lack of funds. In addition I would like to donate . In the weeks preceding Passover, it's customary to assist needy families by providing them with funds for their various Holiday expenses and purchases. 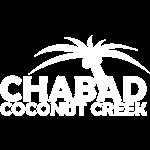 Rabbi Gansburg will represent you in your acts of charity. The Seder will be taking place both nights following the services at 7:30pm.